Coastal cities and towns on the Kwa-Zulu Natal coast of South Africa can derive significant benefit from urban rainwater harvesting. 1. Reduction in water consumption resulting in increased water availability during periods of drought. 2. Storm water attenuation and control, reducing flooding in low lying areas. 3. General water consumption reduction resulting in reduced capital expenditure to supply towns with water. 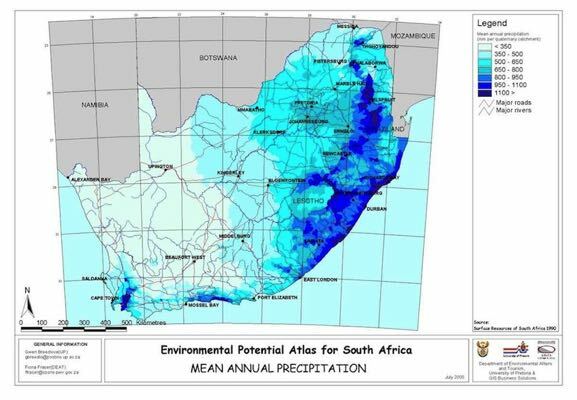 The average coastal rainfall along the KZN coast range from 1000 to 1400mm per annum. All the coastal towns rely on water that comes from inland catchment areas. Thus rainfall within the cities and towns has no significant impact on dam and reservoir levels that service the particular area with water. All the rainwater falling within the town borders simply run into the sea, without delivering any benefits to its residents. Any drought within the catchment area of the coastal town will result in the town facing serious water use restrictions. Costly capital expenditure projects are then needed to ensure these towns do not run out of water during periods of drought. We used a small coastal town like Amanzimtoti within the Durban Metro. Amanzimtoti covers a surface area of approximately 9squate kilometers and has a population of about 13800 people. A 15% coverage of the area with a rainfall of 1000mm per annum will allow roof surfaces to harvest a volume of about 1350 mega litres (millions of litres) of water per annum. With a population of about 13800 people this will leave every individual in the town with 8000l of water per month allocation from just rainwater harvesting. The Amanzimtoti water works operated by Umgeni water process 33.5 megaliters of water per day. Thus it processes as much water in 40 days as what roof surfaces can harvest in one year in the area. Thus during a dry spell there will technically be 40 days more water in the dams than what they would have had in the past. Secondly all the rainwater-harvesting systems act as effective rainwater attenuation systems. 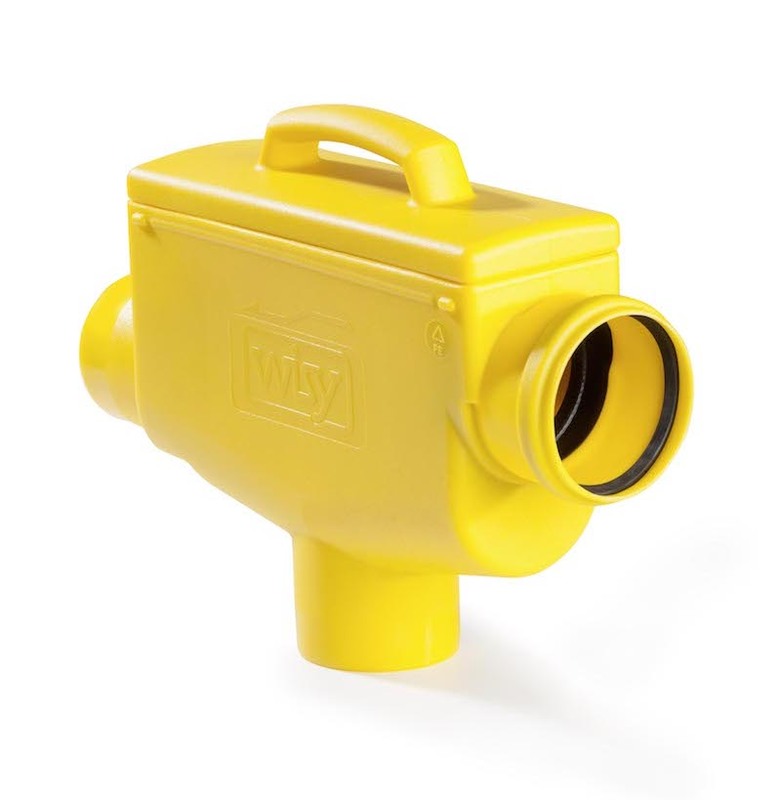 Within these systems water is consumed on an on-going basis, thus during a period of heavy rain these systems have to fill up first before they start overflowing and releasing water into the storm water network. A 15% reduction of water flowing into the storm water system will contribute to a significant reduction in water and flood damage during period of hard rain. Lastly by reducing the pressure on the water supply network, capital expenditure can be delayed or better applied to mange future water resources. For the above scenario to work it is critical that following need to be taken into account and be implemented. Every building (house, factory, school etc.) with a hard roof surface needs to harvest rainwater. Thus it must become compulsory and some form of subsidy coming from water supply savings need to be transferred back into the installation of these systems. All these rainwater systems must be effectively designed to maximize the use of the rainwater after harvesting. Rainwater can be used for potable and non-potable applications. Not using the rainwater defeats the object of what need to be achieved. Rainwater storage tanks need to be emptied regularly so at to provide storage for the rainwater during the next rainstorm. Regulations need to be implemented with regard to the design and installation of rainwater harvesting systems to minimize the risk of contamination of metro water systems with rainwater. 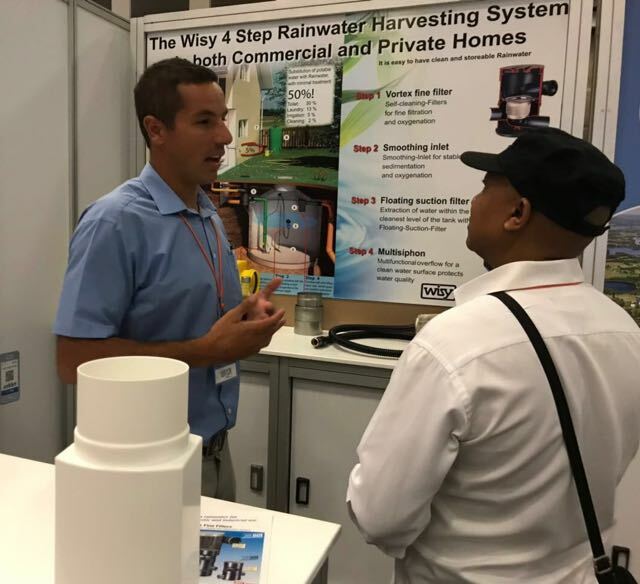 Though this analysis might be idealistic in the current environment, future water shortages will start forcing residents and businesses to look at rainwater as an alternative supply of water. 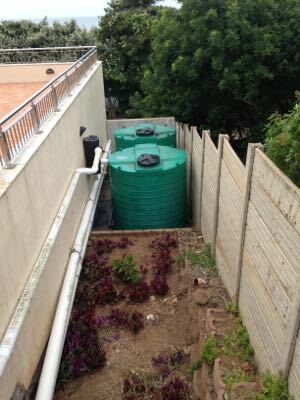 It is thus important that regulators and town planners start creating a framework where residents within the city limits can effectively and safely harvest rainwater. 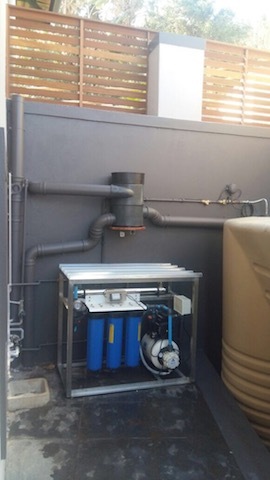 The sooner regulations and standards are implemented the sooner the benefits will be derived from urban rainwater harvesting systems.